A couple of months ago I attended the BioLogos national conference in Houston. BioLogos are Christians who espouse evolutionary creationism, one of the positions on creation I know the least about – and not one I’ve held. I attended not because I think their viewpoint is the best but because I felt the need to learn from my Christian brothers and sisters, most of them scientists, who deeply love Jesus and his gospel and maintain there’s no real tension between science and faith as it relates to one of the most controversial and taboo topics in Christian circles: evolution. Needless to say, they’ve got a big hill to climb. But I appreciate them. They are asking questions I believe the church is going to have to answer sooner than we think (e.g., DNA editing, Genomic studies, embryonic medicine, and, not the least of which, what latest genetic studies claim about evolutionary theory). As far as the conference went, I had nothing to share. I was just a fly on the wall. 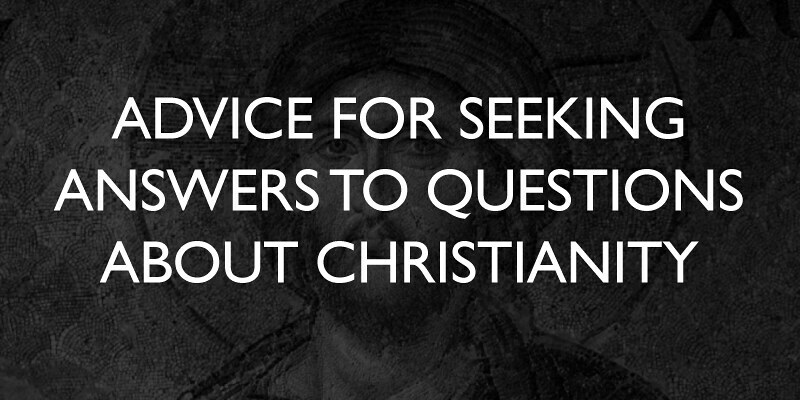 I wanted to learn, dialogue, and ask questions of them theologically and biblically. I discovered being with them the same thing I believe I would if they were the Intelligent Design, literal six-day, or some other camp – that they were sincere, winsome believers who genuinely wanted to live the truth of God in their lives as best as they understood Scripture and nature. It was moving for me to see their sincerity of faith, humility of spirit, and desire to honor God and his word. To be fair, I probably left with as many questions as answers, but that’s more than okay. 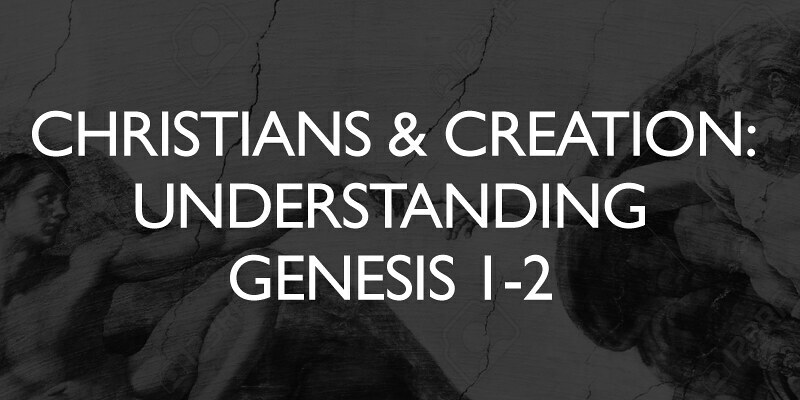 One thing in which I did remain steadfast was the fact that there is no unanimous agreement on how believers understand the creation account of Genesis (even the BioLogos crew don’t agree amongst themselves). All of it reminded me of a question I frequently get at CCCC: Yancey, what’s the church’s view of creation? It’s usually from members or leaders who’ve finally plucked up enough courage to ask their Teaching Pastor about how their beloved local church interprets Genesis 1-2 in the hopes CCCC’s view will match theirs. When they hear my answer, it almost always (not all the time) ends in relief. Let me explain. He’s right, at least with the point that Church History is full of godly, earnest, Jesus-loving, Bible-believing Christian leaders who’ve held to different interpretations of Genesis 1-2. Each are attempts to best understand the creation account of Genesis in light of what is known about the universe today. Why so many? Well, the text isn’t so cut-and-dry as people may think. And that’s just the tip of the iceberg. There are other questions: Do you believe in an Old Earth or Young Earth? Was the flood localized or global? Is Adam a singular person or could he be representational (or both)? Does the prehistory of Genesis 1-11 have the same kind of intent as Genesis 12-25 or is it different somehow? Did God speak via the Big Bang or not? These questions aren’t new. Actually, people have been asking questions like them for decades or even centuries. That’s why at CCCC we are not dogmatic about one particular view over another. Personally, I’ve held most of the views listed. They all have pro’s and con’s. When I teach the doctrine of creation to our lay leaders in systematic theology I encourage them to wrestle with it themselves and ascribe to the position they believe best makes sense of the two books of God: nature and Scripture (Ps. 19). If you pick six literal days, great! If it’s Gap theory, good for you! If Intelligent Design is your choice, more power to ya! I try to emphasize that ultimately all these views at least agree on the critical truth that God created all things for his glory. Frankly, I view the interpretations of the Bible’s beginning the same way I view interpretations of the Bible’s conclusion, namely, that since there are different, legitimate positions to which honest and earnest believers hold (e.g., amillennial, premillennial, postmillennial). CCCC does not have an official “end times” position either. We believe Christ’s return is personal, visible, and imminent. As to exactly what and how he will return, we’re not going to be dogmatic, just like the what and how God did creation. In their blog this week The Gospel Coalition commemorated John Piper’s famous 2000 Passion Conference message “Don’t Waste Your Life” (aka, the “seashells” talk). It not only fixed Piper’s influence in the hearts of the 40,000 twenty-somethings gathered in Memphis on that afternoon in May but also became, as the blog notes, “formative for a generation.” For many, Dr. Piper’s words were prophetic, arresting, and spoke to them in the deepest of ways. I call that kind of a message a life message. It’s the kind of message that ruins you for all the right reasons and boldly changes the trajectory of your life. My “seashells” message was given by Timothy Keller, pastor of Redeemer Presbyterian in Manhattan. This was before he had written his bestselling books or attained national notoriety. It was 2007. 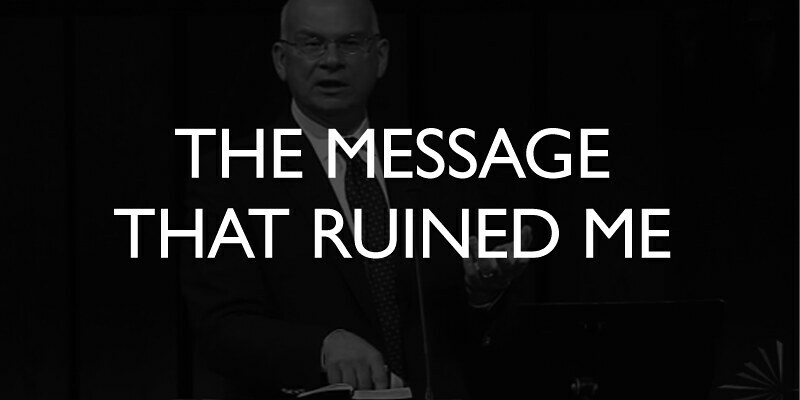 A friend of mine in NYC encouraged me to listen to “this Tim Keller guy” whenever I had the chance, so when I came across a video of his address to the newly minted Gospel Coalition in May of that same year with a message entitled, “Gospel-Centered Ministry,” I thought it something I needed to hear. I settled into my office, closed the door, and watched his 55-minute address. I was spellbound almost from the word ‘go.’ Dr. Keller’s struggles in church paralleled mine. Yet his answer to those struggles was exactly what I’d thought but couldn’t put into words: a theology of gospel-centrality. My growing angst in ministry had finally found the answer. Indeed, as I heard him eloquently speak about not only what the gospel is but how it should intersect all ministry, especially the pulpit (as he also was a preaching pastor), I kept saying aloud, “Yes.” “Yes.” “Yes.” Although his address wasn’t significantly animated or charismatic like John Piper’s message, I was continuously moved to tears throughout it. The grace in it all was Keller’s ability to not only put into words what I couldn’t about gospel-centered ministry but to provide a framework and paradigm for it as well. Now that I had it (or better yet, it had me), I was dangerous because I knew what this meant. I knew this would define me, my ministry, and the local church I served. There was no turning back. I wanted to know everything I could from those who sought to keep the gospel central to ministry. In short, I was ruined. I read a lot, studied a ton, and even chose my doctoral work based on a seminary that would deepen me in gospel-centered ministry. I began to dialogue with those who were way ahead of me. I couldn’t get enough! I even called up Redeemer and asked for their discipleship materials, and our executive staff spent weeks working through them.2 Needless to say, gospel-centrality would be a defining mark of CCCC. Indeed, ten years later, it has. In a survey a few years ago of our staff and small group leadership, when asked what makes CCCC “CCCC,” at the very top of the list was our commitment to the centrality of the gospel in all things. If I could give one piece of advice to spiritual seekers (or believers for that matter) who have nagging questions about Jesus, the Bible, and Christianity which keep them from embracing Jesus, the Bible, and Christianity, I could summarize it in two words: work hard. If there are troubles, doubts, or a lack of clarity keeping you from a deeper engagement or commitment to knowing and following God as revealed in the Person of Jesus Christ then I would encourage you to be industrious about finding the answers. If you attend a local church you might utilize her leaders or journey along with a small group of believers for help. Furthermore, you could read books from the best and brightest biblical scholarship over the decades if not the centuries. You could also see if the Church Historical has already encountered and answered your questions (I mean, we’re talking roughly 2,000 years here). Regardless how you pursue the answers to your questions, the point is to actually pursue them. Far too often when I hear of someone’s journey for answers it seems less a journey and more an extremely abbreviated stroll…to their computer to google a question. Unfortunately for many, the “search” amounts to finding within the first page or two of results an answer which merely serves to reaffirm biases and preconceived notions1, and that’s it, they’re done. Back to binge-watching on Netflix. Or maybe the journey abruptly concluded because of a Facebook fake news post blasting long-held truths of orthodox Christianity that the reader assumes is legitimate simply because it’s on a webpage. Hear me, both illustrations are examples of those who aren’t looking for answers as much as wanting to retain excuses for unbelief. Real searching takes real work. Frankly, how hard we work at our search tends to indicate how genuine our search really is. In other words, working hard can be a litmus test for what constitutes a real question we’re hung up on versus something we just tell people we struggle with because we don’t want to come across spiritually shallow or lazy. Why all the work? Why all the blood, sweat, and tears to get the right answer? Well, for Odone family, getting the answer was literally a matter of life and death. But is our spiritual quest amidst questions and doubts any different? On the contrary, I would argue it’s even greater, for the stakes are infinite. The consequences being eternal life or eternal death (cf., Heb. 9:27). This is why each of us should do whatever it takes to reduce the doubts we have by working hard to get the correct answers, even if we don’t like the answers we find. Don’t settle for living a life where your “doubts” are really excuses in disguise. Think deeply about the questions you have and work hard to find the answers. Run to the real “oil” of truth and be honest with what you find, even if you don’t like it. Doing so will aid you in your spiritual journey for the present and hopefully for the life to come.